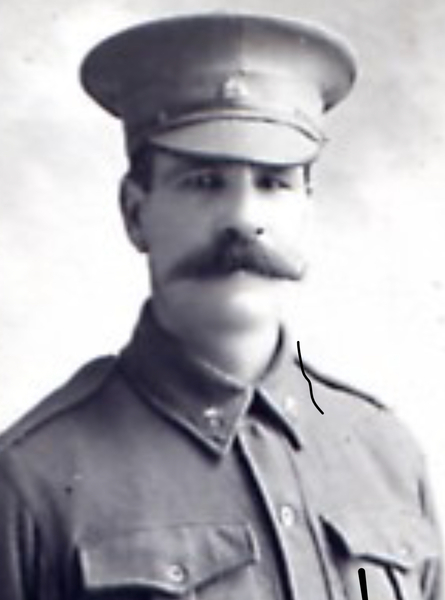 Involvement AIF WW1, Sapper, SN 7680, 1st Tunnelling Company (inc. 4th Tunnelling Company), "The Last Hundred Days"
Help us honour Arthur Robert Dudley Johnson's service by contributing information, stories, and images so that they can be preserved for future generations. Born in 1875 at Alexandria, Victoria, the son of Robert Henry Johnson and Fanny Wyatt (nee Dudley), Arthur Johnson moved to Western Australia where he married Lily Gertrude Hicken at Albany in 1898. A daughter, Jessie Gertrude was born in 1899, a son, Robert Arthur John in 1901 and another daughter, Adelaide Lily in 1902. The 1910/1912/1913 Electoral Roll records Arthur Robert Dudley Johnson, farmer, living at “Addison”, Tambellup, Western Australia, with Lily Gertrude and Henry Thomas Johnson, farmer, and Robert Henry Johnson (also recorded as ‘Johnston’). The 1915/1916/1917 Electoral Roll records Arthur Robert Dudley Johnson, farmer, living at “Addison”, Tambellup, Western Australia, with Lily Gertrude. A Medical Examination at Katanning, Western Australia on 19 March 1917 found him to be fit for active service and Arthur signed the Attestation Paper of Persons Enlisted for Service Abroad and the Oath to ‘well and truly serve’ on the same day. Arthur stated that he was a farmer by occupation, aged 39 years and 1 month and that he had completed 2 years of an apprenticeship as a blacksmith in Victoria. He stood 6ft 1in tall, weighed 182lbs, had a dark complexion, brown eyes and dark brown hair. He named his wife Lily, of “Addison”, Tambellup, Western Australia as his Next of Kin and allotted three-fifths of his pay to support his wife and children. 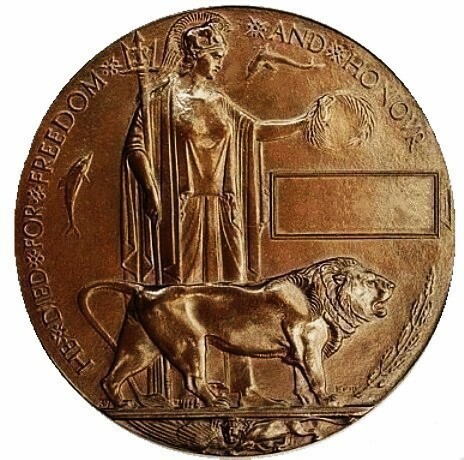 He was appointed to the April Reinforcements of the Tunnelling Coys on 1 August 1917 at Seymour, Victoria and embarked with 169 members of the April Reinforcements on HMAT A68 Anchises at Sydney, New South Wales on 8 August 1917, disembarking at Liverpool, England on 2 October. 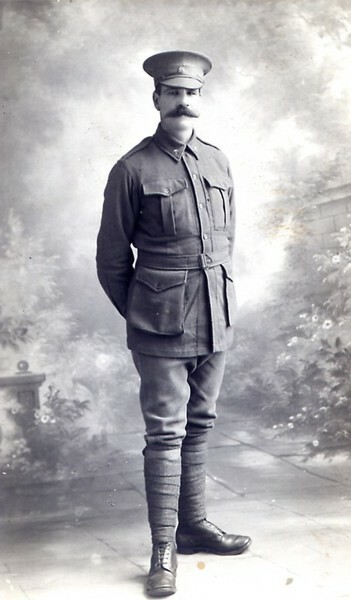 After about 5 weeks training at the Parkhouse Depot, he proceeded overseas to France on 14 November 1917, arriving at the Australian General Base Depot (AGBD) at Rouelles on the 15th. On 19 November, Arthur was assigned to the 1st Anzac Entrenching Battalion which was an advanced section of the Base Depot. Formed at La Motte, France on June 6, 1916 with Captain N. Macrae being seconded from the Mining Corps as Adjutant and Quartermaster, the Battalion had an initial strength of 21 Officers and 1003 Other Ranks, mainly Infantry. The Battalion organised works near the lines and through duties would accustom the reinforcements to war conditions before being assigned to a company in the field. For a time, all infantry reinforcements were drawn from this unit. Heavy losses at Pozieres in July through September 1916 caused all infantry to be directly absorbed into their fighting units. The Battalion continued to be a transit unit for tunnelling reinforcements and in October 1916 there were 9 officers and 203 men in the Battalion which now served as a tunnelling company, working with the 1st Canadian Tunnelling Company at St Eloi, The Bluff and the Ravine (near Ypres). On 5 November 1917 the 1st Anzac Entrenching Battalion was abolished. On 1 January 1918 Arthur reported sick. He was admitted to the 1st Casualty Clearing Station on 2 January with influenza. On 10 January he was transferred to the 53rd Casualty Clearing Station and then to the 13th General Hospital at Boulogne on 11 January. He was evacuated to England on 15 November on board Hospital Ship Jan Breydal and was admitted to the Dane John Hospital in Canterbury with Broncho-pneumonia. He was transferred to the 3rd Auxiliary Hospital at Dartford on 11 February and discharged to furlough on the 18th of that month. Arthur reported to the No.4 Command Depot at Hurdcott on 4 March and was transferred to the Overseas Training Brigade, Longbridge-Deverill, on 5 April 1918. He proceeded overseas to France on 26 April and after a few days back at the AGBD, marched out to the 1st Australian Tunnelling Company on 30 April. On 1 June Arthur was admitted to the 6th Stationary Hospital at Rouen with an undiagnosed temperature. On 11 June he was transferred to the 2nd Convalescent Depot and on 16 June he was discharged back to the AGBD at Rouelles. He rejoined his unit on 23 June. While serving with 1ATC, Arthur may have been involved with operations on the Hindenberg Line in September 1918 when 20 members of 1 & 2ATCs where decorated. He may also have worked on the construction of the Hooge Crater dugouts. In November 1918 a section of 1ATC, led by Capt Oliver Woodward, was tasked with the responsibility of building a tank bridge in support of a British action to force the Sambre – Oise Canal. Arthur, Albert and Charles were buried in adjacent graves at Le Rejet-de-Beaulieu Communal Cemetery, near le Cateau, France. Lily G. Johnson, of "Addison," Tambellup, Western Australia. Native of Alexandra, Victoria, Australia. Arthur Johnson was part of a 1 Tunnelling Company detachment supporting the British Army's assault crossing of the canal, when he was killed in action on 4 Nov 1918. He was among the last AIF KIA and arguably the easternmost on the Western Front. 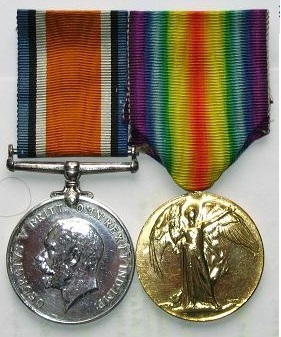 Four VCs were awarded in the course of this operation, and British Poet Laureate Wilfred Owen, MC was killed in action during the course of it on the same day.